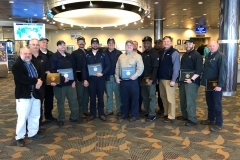 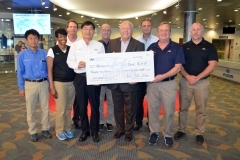 HMMA TEAM MEMBERS DONATE MORE THAN $21,000 TO MONTGOMERY AREA FOOD BANK | Hyundai Motor Manufacturing Alabama,LLC. 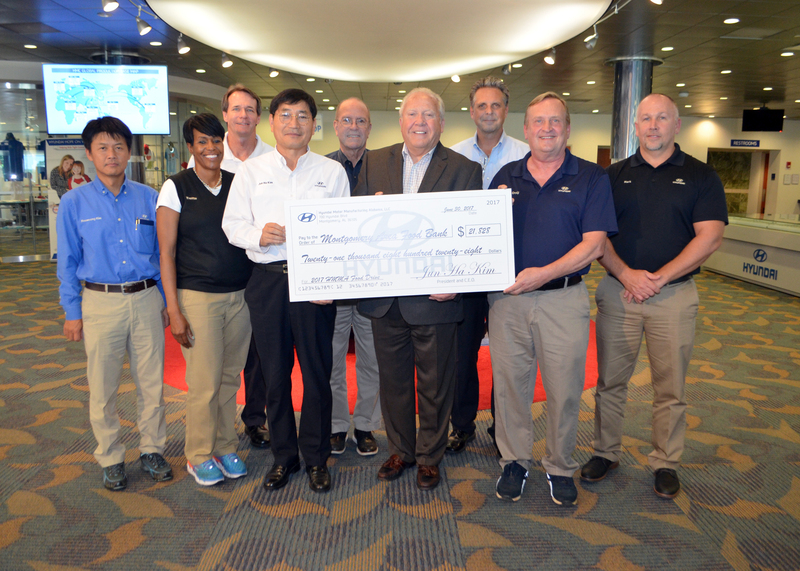 Montgomery-based automotive parts suppliers raise more than $2,000 in additional funds. 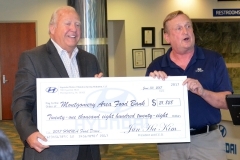 MONTGOMERY, Ala., June 30, 2017 – Hyundai Motor Manufacturing Alabama (HMMA) team members showed their generosity and team spirit by collecting $19,773.25 for the Montgomery Area Food Bank. 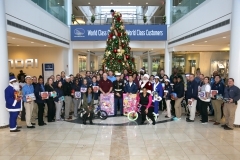 Employees at two of HMMA’s Alabama-based suppliers joined the food drive. 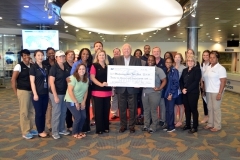 Their team effort resulted in an additional $2,055.00 to support the mission of the Montgomery Area Food Bank. 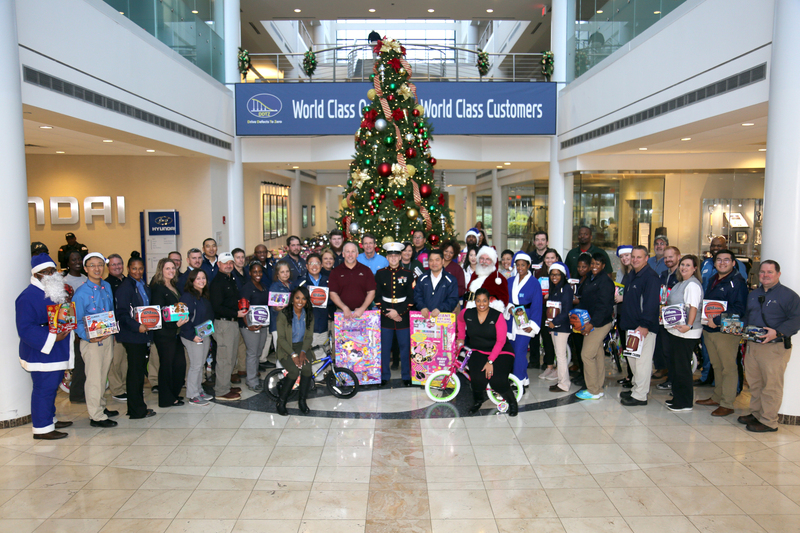 Food bank barrels and boxes were delivered to HMMA and the supplier operations to encourage participation. The food bank’s CEO, Rich Deem, offered his thanks to team members and suppliers for their continued support. The combined total of monetary donations from HMMA and its Alabama-based suppliers is $21,828.25. 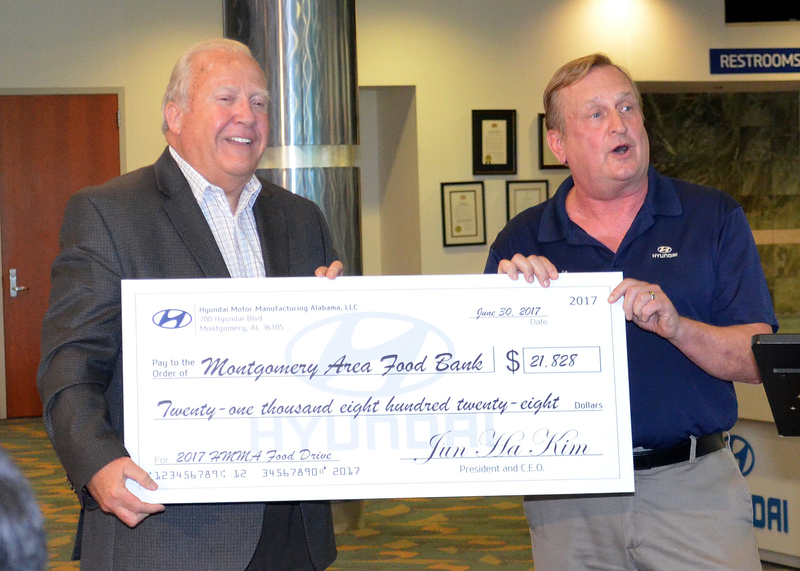 Together we are very proud to support the Montgomery Area Food Bank and plan to support this worthwhile organization for years to come.